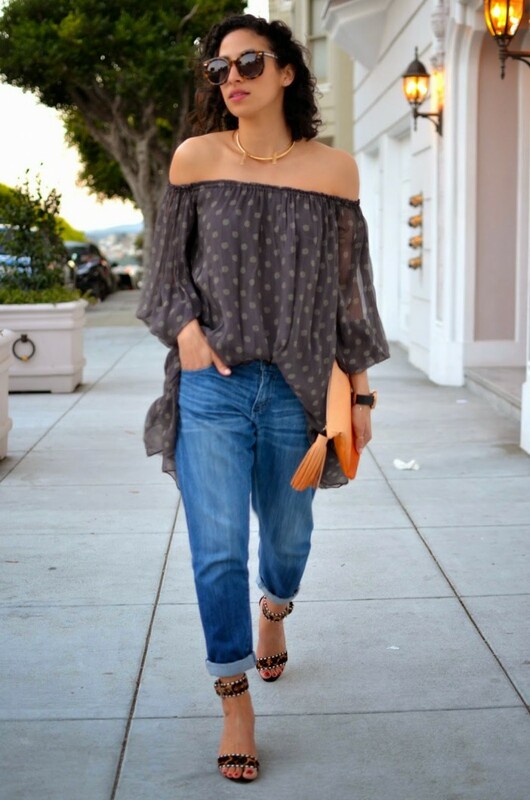 How about ruffled and puffy off-shoulder top? 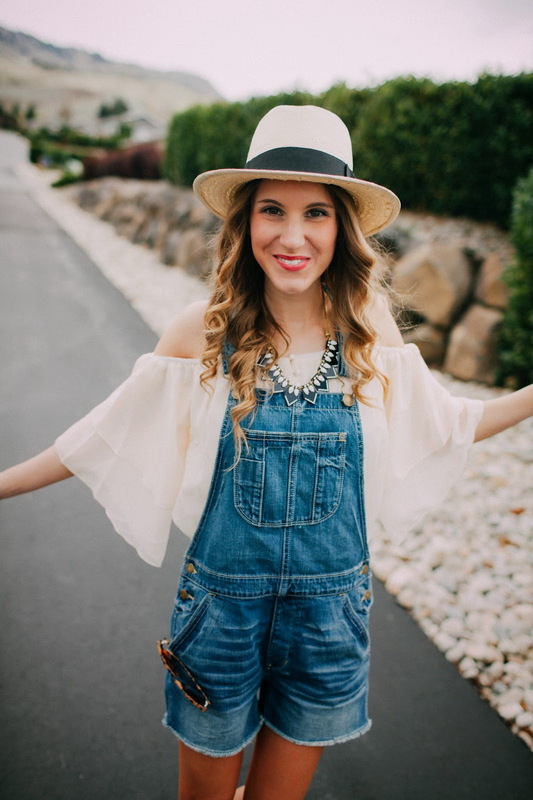 This hippie and bohemian garment is ideal for those ladies who want to try on something unique and individual, plus it's a great addition to your festival look. How about showing a little midriff skin? I am in love with off-shoulder crop-tops what can be worn with anything you want, starting from shorts to maxi skirts and trousers. You can try to wear fit-and-flare contrasting combinations, like a puffy off shoulder top paired with tailored slim-fit trousers. If you want to try something modern and minimalistic, then you better go for a one-color off-shoulder dress and style it with same color footwear or you can try totally black look, featuring crop-top, sweatpants and pointed-toe flats. Anyway, let's get some inspo from the images below.